Go Before They're GONE! Frito Lay Classic Bold Mix -- PENNIES A BAG SHIPPED! Go Before They’re GONE! 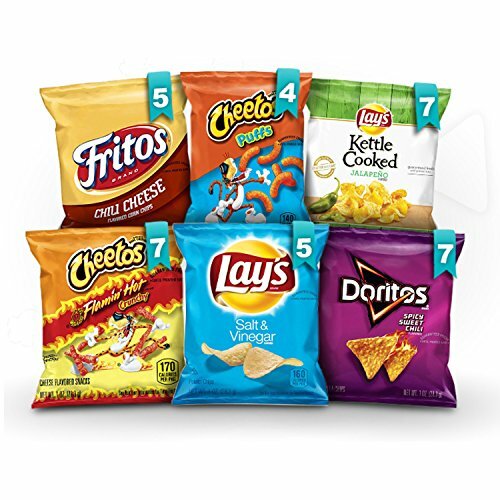 Frito Lay Classic Bold Mix — PENNIES A BAG SHIPPED! About the product" copy - Cheetos Flamin' Hot Cheese Snacks, Lay's Jalapeno Kettle Cooked Potato Chips, Doritos Spicy Sweet Chili, Lay's Salt & Vinegar, plus Smartfood Parmesan & Garlic Flavored Popcorn OR Cheetos Cheese Puffs.